Beth Tubbs, P.E., FSFPE, senior staff engineer at the International Code Council, was recently invited to join the Fire Council Membership Committee of Underwriters Laboratories Inc. (UL) for a term of three years. The Fire Council is one of nine councils whose members provide support to UL by bringing practical experience to bear on a broad range of engineering and safety matters. As a member of the Fire Council, Tubbs will help develop effective programs to address domestic and international safety needs. Fire Council members are consulted in the establishment of requirements concerning the installation of products and materials intended for use in accordance with codes, components and systems, interpretation of standards, suitability of test methods, standards development, regulatory needs, regulatory acceptance and similar issues. Members also provide guidance to UL on safety requirements and research related to fire suppression equipment, fire resistant building designs, flame and smoke characteristics of building materials, and other products related to fire safety. Fire Council members may be asked to assist in the interpretation of requirements, particularly as they may apply to new developments that may not have been considered at the time the requirements were adopted. Fire Council membership is offered only to individuals who are preeminent in their field and whose work and experience exemplify the highest levels of professional competence and ethical standards. Individuals representing academia, building officials, federal government agencies, fire service, along with independent fire safety experts, consultants, insurance authorities, and other related categories make up the fire council, which was formed in 1913, to assist UL in advancing the fire safety element of its mission by providing an important enforcement and practical experience perspective to UL related to the application of fire safety products and systems. Tubbs has been with the Code Council since its consolidation in 2003. She joined the legacy organization International Conference of Building Officials in 1996. At the Code Council, Tubbs has been involved in a variety of activities, including code development and support and participation in various committees both on a national and international level. She holds P.E. licenses in both Massachusetts and California in fire protection engineering, is a member of the SFPE Board of Directors, and was named a Fellow of the Society of Fire Protection Engineers in 2012. She earned her bachelor’s degree in civil engineering and master’s degree in fire protection engineering at the Worcester Polytechnic Institute. During her career, Tubbs has authored nearly 20 articles and professional papers on the subjects of codes and fire protection. In 2009 she received the SFPE Rolf H. Jensen Award for Outstanding Committee Service and the SFPE Hats Off Award. 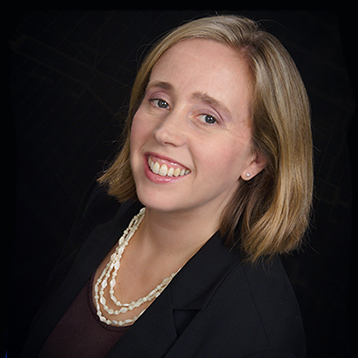 Beth Tubbs P.E., FSFPE, is a Senior Staff Engineer with the International Code Council.